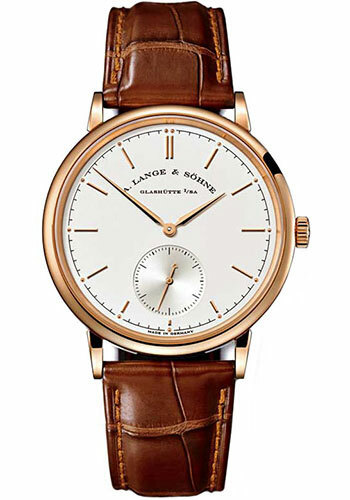 37mm 18K rose gold case, 7.7mm thick, transparent back, 18K rose gold bezel, scratch resistant sapphire crystal, silver dial with applied rose gold index hour markers & painted black minute track, calibre l941.1 manual winding movement, approximately 45 hours of power reserve, brown alligator/crocodile leather strap, tang buckle. Water resistant to 30 m (100ft). 38.50 mm 18K white gold case, 8.8 mm thick, transparent back, mother-of-pearl dial, caliber L941.1 manual-winding movement with hours, minutes, and small seconds, approximately 45 hours of power reserve, white alligator/crocodile leather strap, tang buckle. 39.0mm 18K white gold case, diamond bezel, silver dial, automatic movement, black alligator/crocodile leather strap. 35mm 18K white gold case set with 60 brilliant-cut diamonds, top wesselton vvs, approx. 0.95 ct., 7.3mm thick, transparent back, 18K white gold bezel, scratch resistant sapphire crystal, mother-of-pearl dial, calibre l941.1 manual winding movement with hours and minutes, subsidiary seconds dial, stop-seconds mechanism, approximately 45 hours of power reserve, white alligator/crocodile leather strap, tang buckle. Water resistant to 30 m (100ft). 35mm 18K white gold case set with 60 brilliant-cut diamonds, top wesselton vvs, approx. 0.95 ct., 7.3mm thick, transparent back, 18K white gold bezel, scratch resistant sapphire crystal, brown tint dial, calibre l941.1 manual winding movement with hours and minutes, subsidiary seconds with stop seconds, approximately 45 hours of power reserve, brown alligator/crocodile leather strap, tang buckle. Water resistant to 30 m (100ft).